The Holidays tend to bring families together and one way to help a family stay connected these days in by phone. AT&T is helping families stay connected and closer than ever with phones that do it all! I let them know that I didn’t want to leave the “gamer” off my Holiday Shopping list this year and they hooked me up with a phone that my husband and all other male relatives have been unable to keep their hands off since I got it! This is the Sony Ericsson Xperia play, aside from being on one of the most reliable networks in the nation, AT&T, this phone has features I’ve only dreamed about having in a phone! Getting this phone marked my first real experience with Android and I have to say, I’m enjoying the Gingerbread 2.3 version of Android. Everything is bright, vivid and full of detail on the 4″, 16million color screen! The back also features an amazingly clear, 5.1 mega pixel camera. 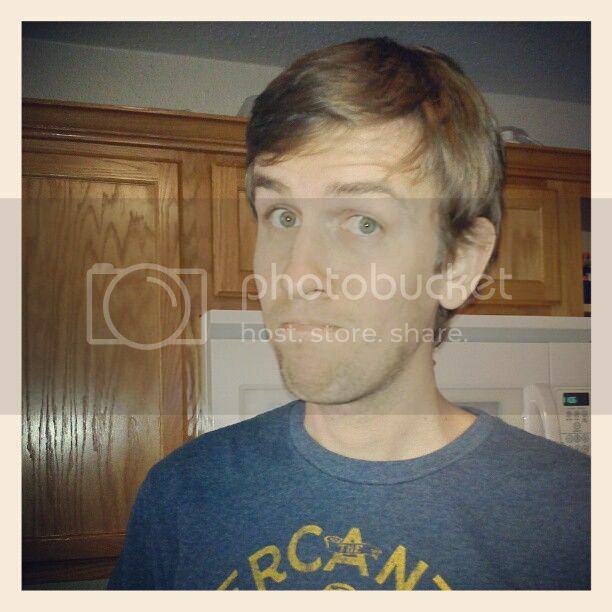 Above is the classic “Don’t put me on your blog” face. It must not have been stern enough this time 😉 The camera also has flash, a feature I never knew would become so invaluable to me on a phone! 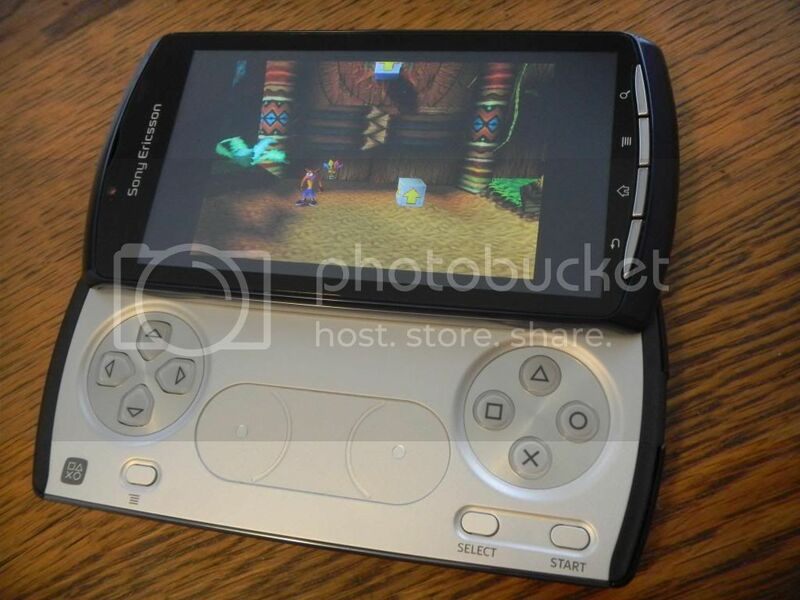 The phone has a slide out bottom that reveals a full gaming pad. This phone is fairly light weight at only 175g and is 62mm wide by 119mm tall and only 16mm thick. Even when I’m controlling the phone in “game mode” the construction is solid and I don’t worry about breaking this even when I’m getting a little too much into the game! 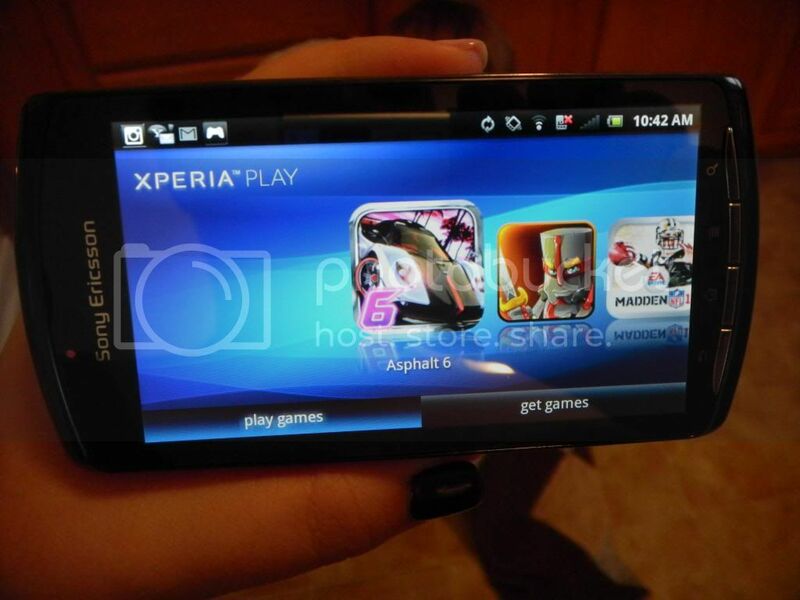 Aside from all the great features and specs on this phone, the really exciting part is the games! There are 7 pre-loaded games with MANY, MANY more in the Android market! There’s a little something for everyone and even though I thought I wouldn’t play video games on this phone, I find myself sneaking in time for Crash Bandicoot nearly every day! Of course my husband and the boys have their favorites too so between all of us and our new gaming addictions, it’s a good thing this phone has amazing battery life! We can usually play non-stop for over 3 hours before we need to charge! Overall, I’m never disappointed with AT&T gadgets, but this one was above and beyond for the gamer gift I was looking for! Though I have to be honest & say, it would be HARD if I actually had to give this one away! Ours will be staying at our home to entertain the entire family. Around this time of year, AT&T is known for some amazing deals and the best part is you can walk in and pick up a phone, gadget or accessory SAME DAY so if you’ve been putting off shopping for all those teens on your list, relax and head to AT&T! 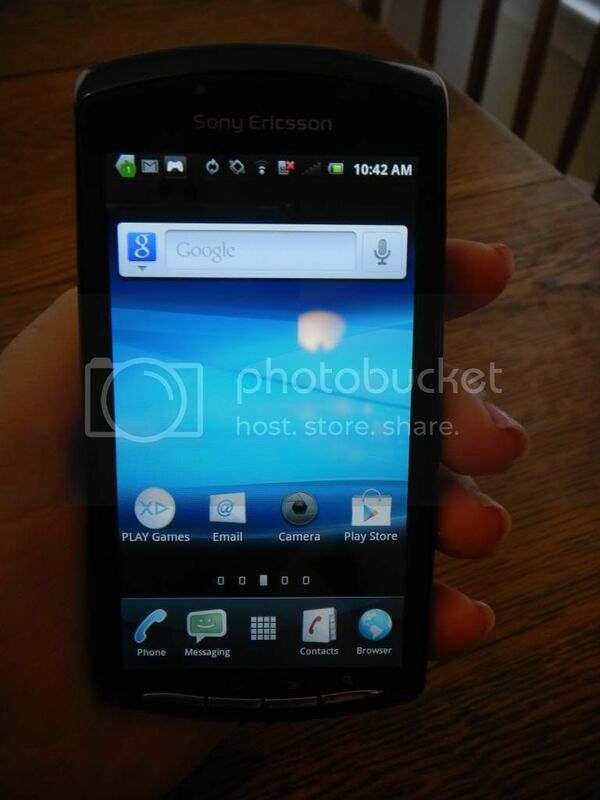 Great review of the Sony Ericsson Xperia from AT&T. Seems like a great phone and one that any tech geek would love. I am going to have to check this out for my son! Awesome review! I need to look into getting this phone for myself and my son! He would love it! The game pad is a huge selling point!! My son would love this as a gift! I’ve been w/ at&t for years and have always had great experiences with them. Great review! What happens when a call comes in and you are playing a game? Does it auto-save? I’ve only had this happen during one game, Crash Bandicoot and it actually paused and I was able to open it right back up and go right back to what I was doing. Better than Auto-save in my opinion! I’m loving the slide out gaming conroller feature. My hubby would appreciate it too, I’m sure! Wow! That is super cool! Now I want one!